Mbofana has, of late emerged with poorly researched loose-cannon wanton-attacks on modern Christianity! On prophets, apostles, pastors, evangelists and teachers in the five-fold domain. 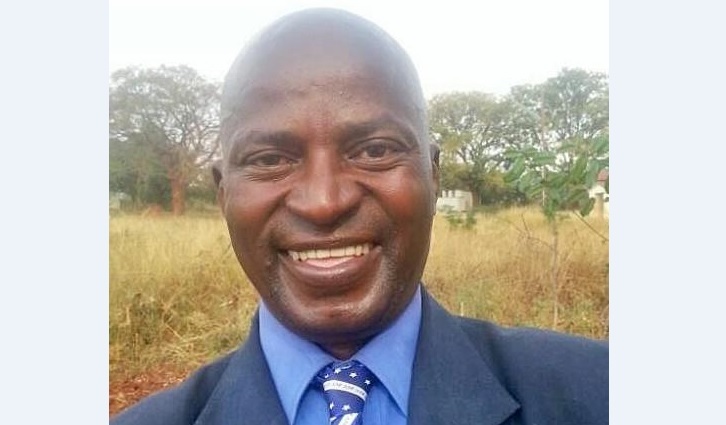 Mbofana has been most critical of modern Christianity and supported his anti-modern worship doctrines with far-fetched biblical references, in some cases, either grossly misinterpreted, or purposefully customised to suit his onslaught upon The Men/Women of God. However, Mbofana cheapens his presentations as published in Bulawayo24 for two successive days, 27 and 28 April 2017 by neglects dealing with one side of the coin. That is awesome criticism without prescription. Criticism without prescription remains as hollow and therefore inactionable or waste of time. Mbofana sees no need to furnish the respective biblical references to the effect that there would be no more prophets, apostles, pastors, evangelists and the said teachers but fraudsters fulltime! Mbofana gives no information on the demise of the above which would then justify his run-away unpremised criticism of The Clergy. Christ advises believers to sharpen their God-given sense of judgement in readiness fir the end-times that would bear witness to the emergence of false prophets within The Great Commission of God. That was to say weeds among the good crop. (Matt. 13:24-30) Surely thats has, undisputably, come to full manifestation as per prophecy. The citation that Mbofana quotes (Matt. 7:22-23) remains as inappropriate for his cause as it still indicates clearly that "many fake clergy, among many genuine", and nit all clergy. For Mbofana, the prophetic or clergy office was a close-shop case. Non-factuality of the worst order in Christ Jesus' name. Amen. Apostle Paul brought-up quite an interesting and constructive approach! That of The Clergy not being a burden upon the poor. By engaging in gainful activities of their own to supplement the activities of The Great Commission. That would be either business or other forms of gainful employment to lessen the burden of being fulltime dependent on poor and needy communities. Common sense! That was great and sharp sense of judgement on the part of The Apostles. The status of the community would dictate it all. In some cases, The Clergy carried gifts and survival means for the respective needy communities. This was contrary to the teachings of The Christ which instructed The Apostles neither to carry extras in clothing, food nor other essentials for The Great Commission. (Luke 9:1-6) Mbofana tactifully avoids this critical citation for the purposes of pursuing his ruthless on-slaught upon The Prophetic. The Church needs finances for its up-keep! And surely Christianity would have long closed-shop as per Mbofana's inferred desire from his out-bursts. It is a fact that no community would survive without religion. The prophets or the entire five-fold remains as part of The Temple furniture. The Temple has operational sundries. Multitudes of workers, both full-time and part-time upon The Great Commission. Pays rentals or constructs and maintains its own infrastructure. Charity remains as the backbone of The Temple with some families having The Church as their full-time survival mode since creation. Both spiritually and materially. If Mbofana would have been granted hid day to stop Offering, Seed/Sacrifice and Tithing, surely The Kingdom of Darkness would have cause to inaugurate a new suppreme God! What surely would be Christian about anyone who disowns the above? What sort of connection or relationship would one have with God? How would one justify communication with God and justify the anticipated blessings? Or mobilise their respective demands upon the respective Anointing? The Church plays a great mediator in conflicts. The GNU (GPA) of Zimbabwe's yester-years (2009-2013) was carried by the same clergy on Mbofana's firing line. In The Democratic Republic of Congo, Central Africa Republic, South Africa, Botswana, Zambia, to mention but just a handful, The Clergy has kept its radar in tact and responded to seek restoration of normalcy or suppression of both imminent and already ballooned conflict. Through The Wirld Council of Churches the Church has supported all bona fide liberation movements.The Church in global poverty alleviation and disaster relief, like Prophet Shepherd Bushiri's PSB Ministries and Prophet Walter Magaya's Prophetic Healing and Deliverence Ministries, Prophet T.B. Joshua's Synagogue Church of All Nations in Nigeria, among various others, that have reached far and wide in the world's various continents. Mbofana has had both zero eyes and zero ears to hear and see all these noble engagements taking place within The Great Commission world-wide. Prophet Shepherd Bushiri Ministries attention upon the poor, the meek, the weak, the desperate, the disabled, strangers, widows and orphans world-wide! Paul addresses "sily women" of the street, those women who fell into sin-power and recklessly traded-off their respective dignities, not the God fearing Christians in The Temple who sing and bless The Lord God in fellowship. The ancient times had small populations and much less sophistication. Stone-age fellowship. Mbofana must out-grow this out-dated phase and humble himself before The Anointed Men/Women of God and receive deliverence at no price. Evangelist Reginald Thabani Gola. Guest Pastors International - Offering, Seed/Sacrifice and Tithing Educationist. Whatsapp 0775184749. E-mail:regtgola@gmail.com.